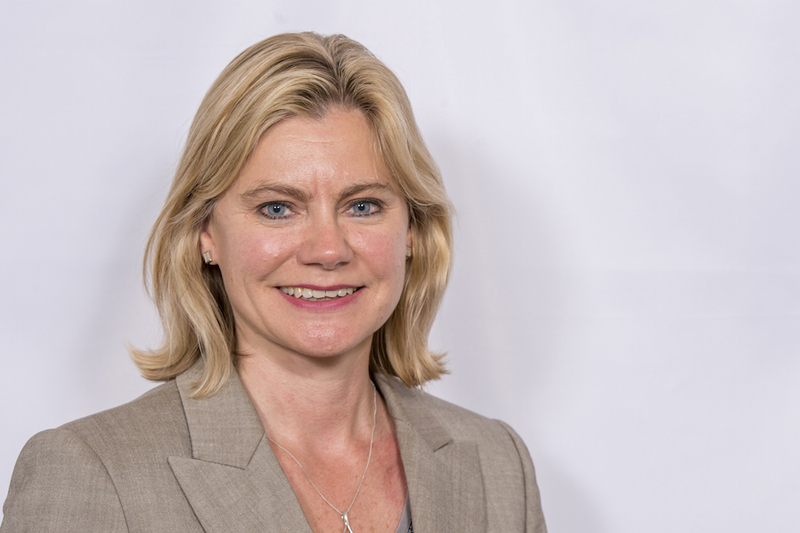 Speech by the Development Secretary Justine Greening setting out her priorities for UK aid in the coming years, hosted by ONE Campaign UK. I’ve been privileged to head up DFID now as Secretary of State for several months. I wanted to use this opportunity today to set out my priorities for our Department in the coming months and years. When I sat down to write this speech I realised that there was quite a bit I wanted to say. It’s important, so I’m afraid that means that it’s a long speech. People often ask me what I think about working in DFID. I always say it is an amazing place with amazing people. It is full of people who, like me, got interested because they want to make a difference with their lives. It is an international development department that is seen as best in class when I talk to my ministerial counterparts in other countries. But I believe that we can still improve and I think we can still up our game. I know there are many people in our country who think that international development should not be a priority – that instead we should spend the money here in Britain. They think that the money is spent on countries that don’t use it effectively, or on projects that aren’t worthwhile. And I know that the temptation for many of us when confronted by anyone arguing against you is just to argue back, just to shout louder at them – and I do believe there is a clear case for investment in international development – I’ll come to that later. But I came into politics because I believe that people have a right to be heard, and I believe that they have a right to be listened to. So when I arrived at DFID, I did not think dealing with those concerns was just as simple as just “shouting louder” at the public. I felt that what we, what I, needed to do was to listen and then ask a difficult question – can we address these concerns by better explaining what we are doing and making our case, or do some of those concerns reflect genuine issues that need to be sorted out? As ever, the answer is that it’s a bit of both. So today, I will be making the case for development, why it is not only the right approach for Britain, but ultimately, the smart approach for Britain too. And I’ll be setting out my priorities on what we need to focus on. But, I’ll also be clear on what we’ll be doing to tackle those public concerns, and how we can improve how we work on a day-to-day basis. Essentially, I think when it boils down to it, people need to see that we are targeting our spend effectively. Spend needs to be in the right places, on the right things and done in the right way. People need to have a clear sense that when a pound of British taxpayers money is spent, it is a pound that takes the country that we are working with further along the path of development. Our money should not be invested in simply maintaining the status quo. We want to invest in long-term progress. Indeed as countries successfully develop, it’s inevitable that we will have to challenge ourselves to keep our portfolio of spend targeted properly. And those countries we work with, they know this too. President Ellen Johnson Sirleaf of Liberia put it very clearly – she wants an end to aid dependency. I had the privilege of meeting her again last week in Liberia. She is an inspirational leader putting her country back on track, but she wants her country’s future to be in its own hands, her peoples, not dependent on decisions taken elsewhere. So I am going to ensure our budget supports those countries who want to move forward. And when development does happen and countries do become better able to stand on their feet, we should celebrate that but also gradually transition our aid spend on to those countries who are yet to reach the same stage and still need our help to make a difference. We’re now phasing out our traditional aid support to India. A country that is successfully developing and shows the real, genuine change that is taking place in so many countries across the world – often totally unreported in the domestic media. I know that good news very rarely sells papers! Over time, our work in India will shift steadily to technical support, helping the Indian government and Provincial governments to get the most out of their own investment in health and education, which in 2011 was £50 billion. So, where we can work with governments on a common agenda we will, and in fact we do. We will be working alongside governments who want to see progress. We are also realistic about the challenges that we, and many of you, face in many countries. We are often working in complex situations. Even so, where we see the trend moving in the wrong direction on corruption and on human rights, we will not simply stand by and ignore that. The decisions I have taken on both Uganda and Rwanda may have been difficult, but I believe that they were necessary. And indeed we stand ready to support all countries once they are clearly back on a path that is moving in the right direction, but going backwards will not be a sustainable option. With that in mind, I want to refresh our Partnership Principles with a more structured approach on human rights and corruption in the future. Of course, if we are to finish the job on the Millennium Development Goals we have got to extend our reach into some of the world’s most challenging environments. No fragile state has yet met a single MDG. In fact, on average, one in three people living in these countries is undernourished. These people – who Paul Collier calls the ‘Bottom Billion’ – are stuck in a poverty trap. Conflict destroys infrastructure, enterprise, schools and institutions. The very things a country needs if it is going to break out of poverty. So it is in our national interest to support these countries. Whether it be terrorism in Afghanistan, piracy in Somalia or crime in West Africa, we know that instability overseas means we eventually foot a bigger bill here in the UK. Problems tend not to solve themselves, rather without action, they too often tend to grow. That is why, as part of the Strategic Defence and Security Review, we pledged to invest 30% of our bilateral aid in fragile and conflict-affected countries. DFID will be working more closely with the FCO and the MoD to make sure our approach is a joined up one. It is absolutely right that we focus on these countries. And I want to see us doing even more to help them. Therefore, I want DFID to focus not just on where we NEED to make a difference but to be realistic about where we CAN make a difference. So the first thing is demonstrating that we are working in the right places. The second is not only working in the right places, but also on the right things. I recognise that different countries are at different stages, and that means our approach has got to be tailored. Poverty reduction will continue to be the irreducible core of our mission. And our first responsibility is always going to be to save lives that are under imminent threat. I have just returned from Jordan where I spoke to Syrian refugees who have fled the conflict in their own country. They told me of the terrible violence they had seen and the utterly impossible choices that they had made to protect their families. As we did with the Pakistani floods in 2010, Britain is once again leading the global assistance effort, and last week we doubled our humanitarian support for those caught up in the conflict in Syria. Life-saving humanitarian assistance will continue to be our most fundamental responsibility. It’s also why the IF campaign focus on the unacceptable levels of hunger is so important. Doing what we can internationally to prevent needless suffering and death. In Ethiopia, our support to the health sector will help ensure that every sick child or pregnant woman gets the high quality healthcare service they need. And in Pakistan, our work on education will aim to get 4 million children into school by 2015. As I have also already made clear on a number of occasions, a key priority for me will be the women and girls agenda. Alongside William Hague, the Foreign Secretary, and Lynne Featherstone, my Parliamentary Under-Secretary, we will all be pressing this agenda at the highest levels, both domestically and internationally. I believe that where only half the population has the chance to be productive and to pursue opportunities, that is simply not a sustainable path to development. Ensuring that all girls have access to education alongside boys is critical. I saw for myself in Pakistan and Kenya that so often brothers may make it to school, but their sisters don’t. The Girls Education Challenge Fund, established by my predecessor, Andrew Mitchell, will help ensure that up to one million more girls can go to school in more places. Whether it is in education, or in health, or helping to give women greater choice over how and when to start their families as we did at the Family Planning conference we hosted in London last year, making sure the women and girls agenda is a central plank of the DFID agenda is very important to me. We will champion women’s rights alongside our work. It is deeply concerning that last year, the Commission on the Status of Women failed to reach any conclusions. We have seen women’s rights progressively move forward for a century now. That cannot be allowed to stop. I am determined to do what I can to make sure that this progress continues. The UK will work tirelessly to see that it does. And I will set out how we will do this in more detail later this month. It was when I was looking at the women and girls agenda that the need for my next priority – driving economic development – alongside the work we do on basic services – first struck me clearly. I remember that I was discussing the water and sanitation work with officials – they told me that poor women ranked sanitation as their second highest priority. And actually, when you asked the men, they ranked it as no 7. I was interested to find out: if sanitation was second for women, what was first? The answer was – a job. So that leads to my second priority – ramping up the focus on DFID helping to drive economic growth. In short, my Department is called International Development. I’m going to take the Ronseal approach to our strategy. Because the evidence is really clear, economic growth is essential for sustained poverty reduction. We know, that over the last twenty years, poverty has always fallen substantially where long-term, per capita growth has been higher than 3%. And it makes sense. As countries are developing, their agenda is shifting in the same way. The African Union has ambitious aims to take the nascent trading units across the continent and create a proper free trade area by 2017. It is a challenge for them – and we should support them, but it’s a challenge for all of us too. Because I think it means recognising that OUR focus needs to match THEIR shift - challenging ourselves to do more than simply helping governments to put basic services in place. To go beyond this to help them as they develop their economies. We’ve all done a phenomenal job over the years. And these are things we can be truly proud of. But, going forward, I recognise that this won’t be enough. We need to reshape the British development effort for the post-2015 world. Our focus and our offer and our skills must change. Because we need to unlock the potential, not just of government, but of all institutions here in the UK to help drive development effort across the world. When I talk with leaders of developing countries, their discussion with me inevitably turns to economic growth. They are often worried it is not keeping up with population growth, and they want their people to have work. They know how important that is. Not just economic growth but stability. When you ask people in developing countries what their top priorities are they will say education, health, but MOST of all they want a JOB – they want to work, they want the dignity to earn an income, earn independence and to look after themselves and their families. If we are going to deliver on their number one aspiration – we’ve got to look more strategically in DFID at how we can drive the economic growth that leads to job creation. How can we build on the work that has already been started, but still probably forms a comparatively small element of what we do as a department? So in the coming months I will set out a fresh strategy for DFID on economic development. It will aim to set out how DFID can significantly expand the depth but also the breadth of the work we can do, helping countries to develop their economies. Helping countries restore macroeconomic stability – low inflation, stable exchange rates and a sensible fiscal policy – and improve their business climate. Our support to the Private Infrastructure Development Group has helped to deliver 37 new infrastructure projects, creating 182,000 jobs. Our work with Small and Medium Sized Enterprises – the backbone of the private sector – will help unblock £5 billion in commercial lending and create more than 1 million jobs. And CDC, the UK’s Development Finance Institution, invests in over 1,000 businesses that together employ more than 1 million people. What I’m saying today is that over the coming months and years you can expect more. By and large, UK companies have a good record. The UK has some of the strongest corporate governance structures in the world. I believe that a British pound is as responsible as any other country’s, and when it comes to developing economies, and some of the countries investing them, often far more so. You only have to look at some of the partnerships we have developed with Waitrose, with the John Lewis Partnership, with Marks and Spencers, with Fairtrade to see that with the right sorts of approaches and proposals, British business is up for joining the development effort. Our country’s track record so far is good. Take Africa, in 2010, our companies invested something like $47 billion. That’s already four times more than Germany. But we can help those developing economies by doing even better. And let’s be frank, we’re not actually helping anyone by leaving the economic coast clear for others to provide the inward investment that often comes in from elsewhere and may represent tied aid or investment that won’t help lift the poorest into employment. I want to be absolutely clear at this point as well. Crystal clear, that I am not, repeat not, talking about tied aid. But I know that many British businesses, though they may be interested in doing business in Africa, in being part of the development of Africa, still find the hurdles hard to get over. So, my message to British business today is, DFID will work across government and across business, to remove those unnecessary hurdles. So work with us and make sure that you don’t miss out. I want to work with our businesses and our universities to unlock opportunities not just for Government to work with developing countries to help them develop, but for business to work with developing countries to help them develop too. That’s why over the coming months I’ll be working with the the CBI and universities. That’s the challenge I’ve set out for DFID – to be a driver of economic growth in developing countries. And it’s a challenge that I want to make today to many of you. Sustainable public services need a private sector creating the wealth and taxes that will keep them funded. It is a symbiotic relationship. Is it enough for us to do one without caring or acting to make sure we support the other? DFID will do both. I want to see our NGOS – especially the large ones with the capacity, starting to join us in doing more of the same too. To those who think the private sector investment is part of the problem, I think you are wrong, actually. I recognise there is investment that is irresponsible, that doesn’t spread wealth creation as much as we’d want. To have a stance that is sceptical about any investment at all is to draw conclusion that is far too broad. In a sense, that mindset has meant that so far, we’ve all tended to work to fix the “irresponsible investment” problems which are there and real and need to be fixed. But that shouldn’t stop us all from working hard to far more actively encourage and support responsible investment. Let’s make this a positive, constructive agenda, about job creation and financial independence. And over the coming months I will work with the CBI, with our top business organisations and business schools to see how we can responsibly help UK business better join the development push. Finally, working on the right things means doing more on what the Prime Minister calls the Golden Thread, building the institutions, the governance, building democracies, the structures that give people the spaces to live and be heard and companies the certainty to invest. Because the growth I’ve just talked about does not happen automatically. And even where growth is present, it does not reduce poverty automatically. That is why we need to tackle the root causes of poverty. As economist like Amartya Sen, and Acemoglu and Robinson have explained, institutions matter. Growth and development requires stability, a pro-business environment, rule of law so that contracts can be enforced and property rights to allow people to invest in their property and keep the gains. And for this growth to reduce poverty, it needs to create jobs. Only then are we going to see a demographic dividend and not a demographic time-bomb. And if that growth comes from natural resources, like oil, then it has to be accompanied by transparency, rules and strong institutions if it is going to benefit the many and not just the few. And lastly, that growth must generate tax revenue. That requires a tax regime, an effective revenue authority and strong, corruption-free institutions that can use these revenues to deliver public services, like health and education. And DFID is working on plans with HMRC to do more in this area. All of this will help build a fairer society. But a growing middle-class, demanding a greater say in their future, will need more than that. That is why we must continue to strengthen governance, including democracy, accountability and a free press. And of course, the beauty of the golden thread is that it does not just apply to developing countries. It ties us all together. Because tackling corruption means not only finding those who steal money but throwing the book at those outside actors in other countries that help it to happen – those people who pay the bribes, the lawyers and financiers that launder the proceeds. I am already increasing my department’s resources focussed on making sure Britain is not a place where these people can peddle their corruption-supporting business. But we aim to do more still, and that is why the Prime Minister has said that at this year’s G8 we will focus on what developed countries can do ‘to put our own house in order’ on the issues of tax, trade and transparency. So we’ll be working in the right places and we’ll be working on the right things. Finally, we’ve got to go about our business in the right way. It’s not good enough to have the right programme in the right country, if we then deliver it in the wrong way, inefficiently or ineffectively. That’s why I’ve significantly increased the department’s focus and Ministerial oversight on value for money in projects. I have introduced Ministerial sign off for all projects over £5m, down from £40m. I’m authorising all new contracts with a value over £1m. This is intended to make sure that we truly have the chance to drive value for money across the board. I am also making sure my department works smarter with our suppliers. Driving better deals to get more for our money. I’ve introduced the department’s first Code of Conduct with suppliers. So far – all of our top suppliers, covering 52% of our contracts, the majority, are committed to signing up. transparency and open books so we can understand how to get the best deal. Over time I very much hope that this is an approach that NGOs working with their own suppliers will be able to use too, driving better value for taxpayers from DFID contributions and donations from the public alike. But in the longer term we need to look at the fundamentals of DFID’s business model. When is it right to buy in a skill or a service, and when should we do it in-house? I also want to take a hard-headed look at which multilateral institutions we support. We have already stopped funding 4 of the poorest performers. And when we see the updated multilateral aid review later this year, I will want to see clear evidence of reform before committing new funds. We know what works and we are using that knowledge to make each £1 stretch as far as it can go. Of course, as technology moves forward, we are challenging ourselves to work out how we can take best advantage of it. The opportunities are absolutely enormous. Projects like mTrac in Uganda which enables health workers and patients to text the Health Ministry when essential drugs are running low. Or the much-cited M-KOPA in Kenya which allows poor people to buy energy products using their mobile phones. They show the way. But there could be so many more avenues to investigate. So my department will look to better access the ideas and the innovation of those people in the technology industry as well as the development world who can provide the insight we need to ensure that we do the most that we can, push as far as we can, in this area. And of course underpinning all of this is transparency and openness. We will continue the drive on transparency – both within the Department on our own spend but hopefully increasingly in our other stakeholders, many of you here today. DFID was recently ranked as the most transparent aid organisation in the world, but we won’t simply leave it at that. I think transparency is important not just for accountability to taxpayers, but also to make sure that we get good development outcomes. My ambition is for all aid flows to be completely traceable, from source to destination. This will have a truly transformative effect, as citizens will be able to start holding those in power to account, that spotlight can help truly fight corruption, and the sharing of information will allow far better collaboration, analysis and evaluation. None of this is going to happen overnight, but DFID will remain a world leader when it comes to transparency. And I expect those we fund and work with to meet the same standards. So, we will be investing in the right places, and in the right things. And we want to deliver our projects, in the right way. But as I said at the beginning of this speech I know there are those who think that we should be doing less on international development. That it does not matter. I just don’t agree with them. In fact, the last 25 years have seen the most dramatic improvements in living standards the world has ever seen. More people are escaping abject poverty. Nearly 500 million in the last 5 years alone. Fewer people are dying of hunger and starvation. Child deaths have halved in the last 20 years. More children are going to school. 44m in the last 20 years. Fewer women are dying from pregnancy and childbirth. Nearly half as many deaths today as twenty years ago. More people are living longer, more productive lives. Average life expectancy has increased from 47 years to 67 now. Fewer people are dying of AIDS, Malaria and TB. Last year alone, nearly 700,000 AIDS-related deaths were averted. More countries are moving from bankruptcy to becoming investment destinations, opening their economies and becoming more democratic. Foreign Direct Investment in low income countries has risen nearly seven fold in the last ten years. Fewer countries are mired in conflict and fragility. Deaths from civil war – while still exacting a completely unacceptable toll – are a quarter of what they were in the 1980s. This is progress that is unprecedented in human history. So if we hold the course, we can end absolute poverty within a generation. I believe, and this government believes, that this must be the simple but powerful aim of the next set of development goals. Because it is fundamentally about giving people, wherever they are in the world, the chance to stand on their own feet, to be healthy, and to be able to pursue their lives in their own way, to make the most of their talents. The ability to have personal responsibility, taking your own decisions. The chance to have opportunity. China – Back in 1992, the value of UK exports was just £600 million. In 2011, it was £12.5 billion and growing. India – Back in 1992, the value of UK exports was £1.25 billion. In 2011, it was £8.3 billion. South Africa – Back in 1992, the value of UK exports was £1.6 billion. In 2011, it was £5.5 billion. For emerging economies, the picture is clear. Ultimately, international development means international trade and international trade means jobs and prosperity both overseas and at home. Our development relationships we have in place today, create the genuine, the right, deep-rooted working partnerships based on common objectives and mutual trust that are the essential conditions for any successful economic relationship later. It is already happening, let’s help build the momentum. More targeted investment, then. More focus on long term economic growth. More focus on value for money. A 21st Century DFID for a 21st Century world. Here in the UK, we are centre stage on development in 2013. It’s a hugely important year for development. We have a unique opportunity in 2013 to shape the development landscape for years to come. This year the Prime Minister is co-Chairing the UN Panel that will shape the framework that follows the Millennium Development Goals after 2015. And we will become the first country in the G8 to reach 0.7% of national income on aid. An achievement we can all be proud of. This year we hold the G8 Presidency, and will be pushing forward on trade, tax and transparency, all of which have a major development impact. And this year our NGOs, many of you in this room, will mobilise the public around the important IF campaign on food and hunger. We, the government, will join your effort with our own special event on hunger before the G8. Britain, in fact all of us in this room, should be at the heart of driving the changes needed for the post-2015 world. And in our enthusiasm to tackle the challenges of the future, we must not forget that we have just two years left to meet the existing goals. So let’s sprint to the MDG finish line in 2015. We should never stop being proud of the work that our country, that so many of your organisations have done, and the role that you play and continue to play in making the world around us a better place for the people who live in it. But, it is time for all of us to challenge ourselves and to look to the future. In that future I want people to be proud of us in the same way we can be proud of our predecessors. That means embracing the developing world, as it is today – not as it was 10, 20 or 30 years ago. If DFID can do this, if we all can do this, then our opportunity to make lives better across our planet is a truly powerful one. It is in our hands. The only question is whether we have the courage to meet the challenge.